The Amarok is a tough off road vehicle that can get to hard to reach places, even whilst carrying a heavy load. South Africa has some very hard to reach places; so difficult that they often don’t receive the supplies they need. Introducing Amarok Social Test Drive: the opportunity to test drive the Amarok whilst also doing some good. You’ll get to put the Amarok through its paces by delivering supplies to the people in South Africa that need them most. The first Social Test Drive started at Midbay Motors Volkswagen in Richards Bay. The journey to reach Zwanani Combined Primary School in a rural KwaZulu-Natal and back took roughly four hours. “As the leading education company in South Africa, Pearson is delighted to partner with Volkswagen Commercial Vehicles for the first Amarok Social Test Drive. What a pleasure to watch our textbooks flying through the rugged KZN terrain in the back of the Amarok to a school in need where they will make a difference in the lives of many young learners.” said Gary Broom, Marketing Director: Schools, Pearson South Africa. The next #AmarokTestDrive delivery will take place in October, and will go to the rural community of Maqashu, roughly an hour outside of East London. The delivery will comprise of sewing machines and material that will help the residents make clothes to sell and raise funds for their community. 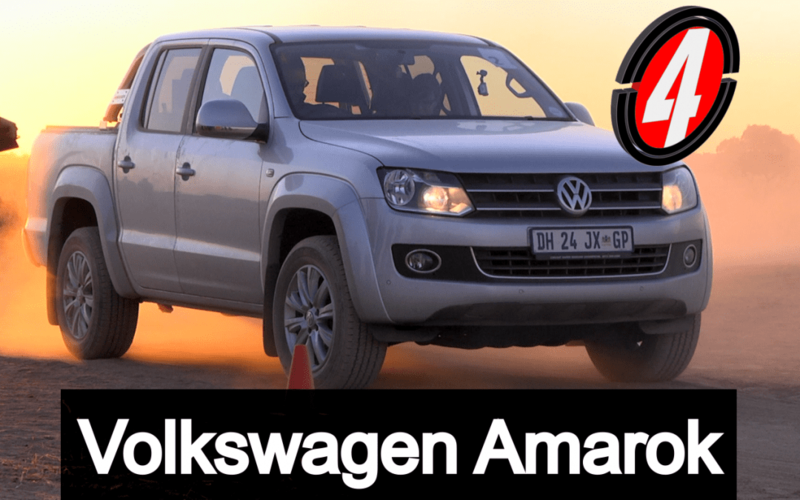 Amarok Social Test Drives will take place over the coming months until December 2015. Volkswagen is giving you the opportunity to make one of the next four deliveries to communities in need. Apply online at www.socialtestdrive.co.za and you could be putting the Amarok to the ultimate test on South Africa’s truly rugged terrain. If you cannot make any of the four predetermined Social Test Drives, you can still make a difference by hosting your own Social Test Drive! Register your delivery idea on the microsite and help a community near you. Stay up-to-date with all of the Social Test Drives by visiting the microsite where you will find out about each route, the terrain and the materials to be donated. New Amarok Social Test Drives will be updated throughout the campaign so keep visiting. Join the movement and sign up for a chance to make a difference.